Fed up with nagging tenants and repairs? Free yourself from the hassles of apartment building management and turn your building ownership into a profitable, hassle-free real estate investment. We make it easy for you to get a check every month without lifting a finger. Handoff as much or a little as you want. Delegate everything or just the tasks you don't want to do: tenant screening, move-ins, move-outs, rental agreements, accounting, laundry services, maintenance contracts, and more. Our experienced apartment building management professionals use systems and processes to ensure everything is handled promptly. Need referrals to capable professionals in accounting, law, and more - just ask, we know them well. Large and small properties. From four to 100+ units, we will keep your units filled and effectively manage your properties. 100% straight-up. You will have 24/7/365 login access to your accounting reports. View all of your property's income, expenses, and financial reports. 100% accountability. Our apartment building managers have extensive experience profitably managing and maintaining our own apartment buildings and those of others. We are experienced at skillfully handling even the prickliest situations to keep your property operating smoothly and efficiently. Expertise. Experienced property management professionals, a CPA, and maintenance professionals are on staff ensure all aspects of your property management are handled promptly, professionally, and responsibly. Monitor your property and replace systems before they fail - to avoid unnecessary expenses caused by system failures. We know the typical useful life of the systems in your property and the warning signals to watch for. Plan and negotiate to get the best prices on quality materials and services. For example, you can save 40% by paving your parking lot in September rather than April. In April, paving contractors charge top dollar because they are booked solid. In September, paving contractors are looking for work to keep their crews busy until the rains start so they will lower their rates significantly. 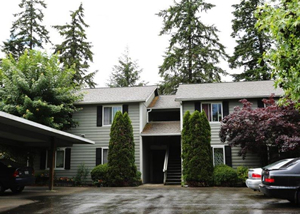 Whatever you need, you will benefit from our extensive experience profitably managing apartment complexes in greater Seattle from Everett to Olympia. Contact us today to start enjoying the best aspects of being an apartment building owner.